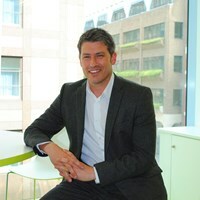 Paul joined Clays in 2010 as Supply Chain Director, became Operations Director in 2012 and Managing Director in 2014. 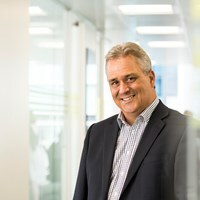 Paul’s background is in retail supply chain; he spent 20 years in John Lewis where he was instrumental in the launch of JohnLewis.com and the supply chain transformation project which delivered the Magna Park Milton Keynes Distribution and fulfilment sites. Shortly before joining Clays, Paul spent some time as Sales Consulting Director role in a retail and supply chain software house. 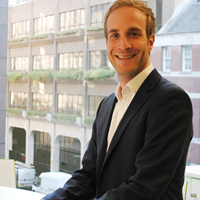 Andrew has been with Clays since joining as a graduate from the University of East Anglia in 2006. He started work as an Account Controller in the Customer Service team in Bungay, joining the London based Sales Team in 2009 as an Account Director. In this role he provided strategic direction, operational support and creative solutions for our publishing clients, and worked on several industry-wide projects, including the inaugural World Book Night in 2012. Andrew has recently become Customer Service Director. Vicky’s career has always involved customer service, client relations and sales. She has experience in a wide range of industries and has worked for major brands including Vodafone and TUI UK where creating strong relationships in order to understand customers demands and work out solutions to meet them was a number one priority. Vicky joined Clays in 2007 and is currently Sales Director. 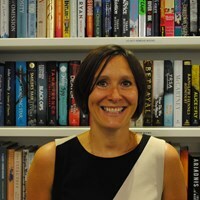 Her focus has predominantly been with the Trade Publishers working with brands such as Hachette UK and HarperCollins. Vicky works collaboratively with her publishers to understand their business and offer services to allow books to get to market in the most cost effective and efficient way. Alongside this, there is always a focus on service, creative solutions and author care. 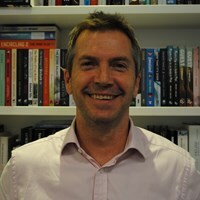 As Sales Development Director, Andrew has responsibility for driving sales into the Academic, Professional and Education markets developing key accounts with major publishers such as Oxford University Press, Cambridge University Press and Pearson Education. In recent years, there has been significant growth in this market, built around Clays ability to deliver high quality products supported by outstanding service and innovative business solutions. In addition to developing Clays’ non-trade business, Andrew continues to work with a range of established UK trade publishers including Walker Books, Icon and Egmont. Ian joined Clays 20 years ago. He has had the benefit of working in almost every department in the company, and brings to his role of Operations Director a real understanding of the fundamentals of the business, the making of books, and of what makes this happen. The focus for Ian and the operational team at Clays is to deliver a continuously improving service offering to our customers, keeping pace with the fast-changing environment. Ian has extensive knowledge of the operation end to end and that combined with an open, approachable style and continuous improvement work ethic will continue to get the best results for Elcograf and its customers. Ian also has a wide knowledge of the post-production process at Clays and beyond, and was instrumental in planning and delivering Clays’ automated warehouse systems and the links with customers that followed. 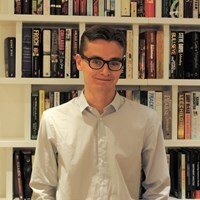 Greg is a UEA graduate with a degree in American Literature and Creative Writing who joined Clays in 2016. After working in the account control team looking after a wide variety of publishers, Greg moved across to the sales team to head up our indie publishing section.